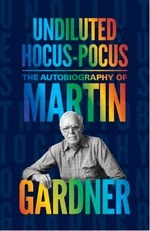 There's so much I want to say about Martin Gardner's new autobiography ("Undiluted Hocus-Pocus"); it will take much more application of pen to paper (or pixel to screen) to cover much of the ground, but a few broad-brush remarks today. First, if you're a Gardner 'groupie' (and by that I mean someone who has enjoyed some of the full breadth of Gardner's prolific writings), of course, OF COURSE! !, read this book. It will be like having Martin over to sit in your living room in a big ol' lounge chair by the fireplace and casually pass along stories of his past to you. 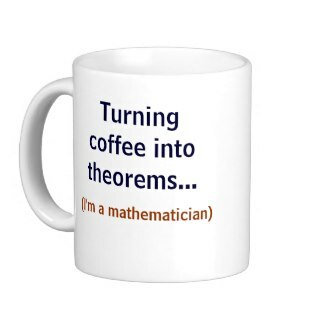 BUT (and this is where it gets tricky), if you ONLY know of Gardner through his recreational math writings, or if you're too young to even know those and only know him as a famous name, well, I'm less certain just how much joy this volume will bring. If you like biographies, you may still enjoy it, though it is not the rollicking tale some may want in a good biography. Gardner very largely led a 'life of the mind,' not a life of high, flashy adventure; almost a sedate life in many ways. And there is paltry little of mathematics in these pages (much more on philosophy, religion, literature), though he does relate stories about some of his most popular, well-known columns for Scientific American (his entire time spent with SA though, is but a fraction of the book). 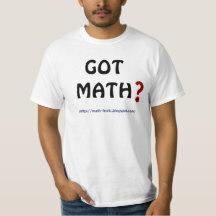 So if you're in search of mathematics or rousing life stories, you just might be disappointed. This is a quiet, mostly soft-spoken (even understated) chronicle from a man in his 90's looking back and re-telling scattered memories (no doubt because some people advised him there would be an audience for such a recounting). In his humility, he calls the volume at one point "this slovenly autobiography" and then later his "disheveled memoirs." His fans will love it; it's just harder for me to predict the reaction of those less admiring or knowledgeable of him in advance. The book reminds me just a tad of Michelle Feynman's compendium of her famous father's correspondences, "Perfectly Reasonable Deviations from the Beaten Track: The Letters of Richard P. Feynman," another volume that contained many mundane, innocuous elements, but also so many bits of pure lovable Richard Feynman -- probably not very meaningful or engaging for a non-Feynman fan, but a treasure-trove to relish for anyone who is one. Gardner's volume also has a fair amount of run-of-the-mill material, but always peppered with his thoughtfulness, intellect, and humor (no knee-slapping guffaws here, just anecdotes that put a twinkle in your eyes and a curl at the corners of your lips). This book also reminded me of all the things I disagreed with Gardner on, yet how much I enjoyed reading his viewpoint even when I bristled at it (and there was of course far more to agree with than disagree with; moreover, we both regard ourselves as "Mysterians"). Those are some of the things I might touch on in a broader, more detailed review later. And then too I always found his eclectic taste in literature almost bizarre, but that too just made him all-the-more interesting a character to me. This book pulls back the curtain and reveals a little more of the almost inexplicable, unpredictable wizard that was Martin Gardner. He was not merely a man of numbers, but a brilliant man of letters and thought. And 3+ years after his death this book arrives as truly a gift. Thank you, thank you, to Princeton University Press for bringing it to us, and at a future point I'll say more about its contents.